“Her recovery from surgery is on track. Post-surgery evaluation indicates no evidence of remaining disease, and no further treatment is required,” said court spokesperson Kathy Arberg. Ginsburg, the liberal face of the court, is recovering from a December 21 procedure to remove malignant nodules from her left lung. The cancerous growths were discovered while receiving treatment for a November 7 fall in her office. Ginsburg missed the court’s oral arguments for three consecutive days this week, participating in cases using transcripts — a first in the justice’s 25-year tenure on the bench. Arberg said Ginsburg will miss oral arguments for a second week. 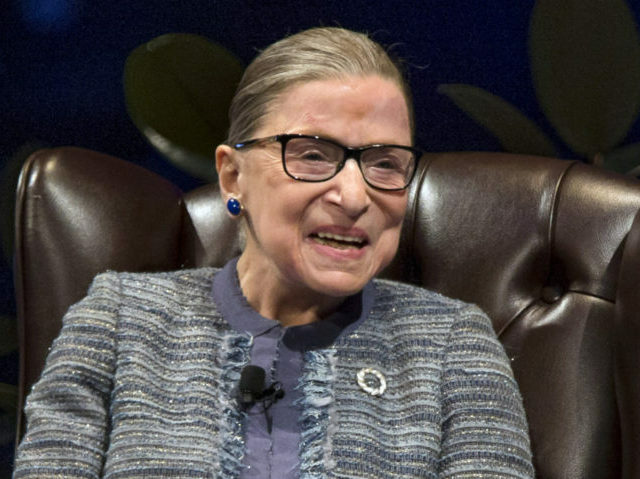 Ginsburg has experienced several health issues in recent years. The justice underwent cancer surgeries in 1999 and 2009 and broke her ribs in at least two separate occasions. In 2014, Ginsburg had a stent inserted into her heart. This week’s absence sent shockwaves throughout the beltway, spurring chatter that the court’s oldest justice could soon step down. A Politico report, citing an unnamed source, states that White House officials are “taking the temperature on possible short-list candidates” to replace Ginsburg and discussing with “key stakeholders” about the nomination process. “They’re doing it very quietly, of course, because the idea is not to be opportunistic, but just to be prepared so we aren’t caught flat-footed,” the source told Politico. This is far from the first instance in which Ginsburg has been the subject of such talk. Appointed by President Bill Clinton in 1993, Ginsburg rebuked calls to leave the bench during President Barack Obama’s second term, when a confirmation process appeared less volatile due to a Democrat-controlled Senate.